Burning Moon's Inside advice: MouthWatchers ToothBrush Review! Did you know it is recommended to replace your tooth brush every 3-4 months due to a variety of factors? I do replace our tooth brushes often however I am closer to the 5ish month mark as no one in my family brushes their teeth aggressively enough to break the bristles on the brush. This time around my husband and I replaced our normal toothbrush with a brush from a company called MouthWatchers. So what sets MouthWatchers apart from what you can pick up at the store? This brush offers a unique combination of antimicrobial and dual layered flossing bristles which give you a deep clean feeling. What is a flossing bristle? It is a long, soft dental floss for cleaning between teeth and in hard to reach locations, you can see both the antimicrobial and flossing bristles in the photo below. The bristles look a little scary because you can see all the small flossing bristles sticking out everywhere but they are all actually quite soft. I personally loved this toothbrush as soon as I used it, I could feel where the longer bristles were getting into spaces of my teeth that my regular toothbrush was missing. My teeth felt super clean after using this brush, I could feel where it made a difference where some of my teeth are closer together and it seemed to do it in half the time my normal toothbrush did. I've been using this toothbrush daily for about a week now and I look forward to using it every time because I know my mouth will feel great after using it. My husband is a big fan of this brush as well, he has a few issues with his teeth especially when it comes to sensitivity and this brush didn't give him any issues. He agreed that during the first use it felt a little odd because you could tell the difference between this brush and a normal brush but you get used to feeling the brush cleaning the deeper spots the more you use it. Their brushes generally run about $4.99 each and you can buy a year supplies which will get dropped off one package at a time every three months. I've been searching for a new toothbrush! This looks awesome! This looks really good.. Brushing and flossing together.. I have never heard of these toothbrushes before. I like that it has the extra long bristles to get a deep clean. How Cool! I will def. Have to check these out! Thanks for telling me about them! I have had these and I love them! I will never order another tooth brush ! 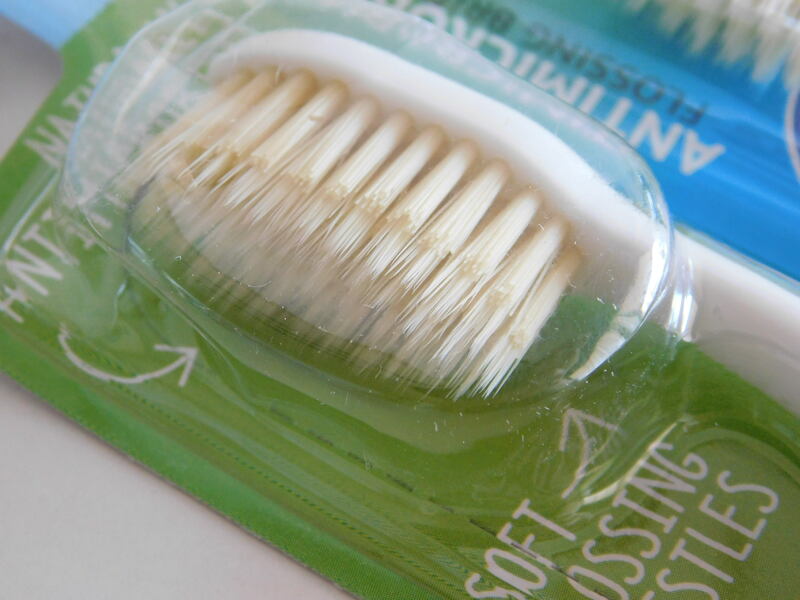 Ultra fine bristles definitely clean effectively, nice! MouthWatchers seems like a terrific product to try. I like trying different toothbrushes or teeth products since oral health is so important. These look like great toothbrushes. I will have to look for them. As I was reading this post I kept saying I'm sure something like this will cost an arm and a leg... fooled me!